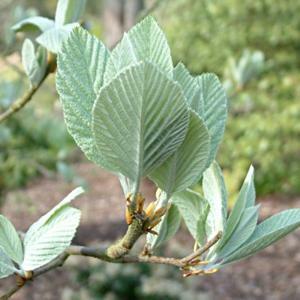 One of the best forms of the Whitebeam. Large silvery-white leaves open in spring, fading to green later. White flowers in late spring. Large red berries in autumn. Tolerant of most soils and positions. Any reasonable soil, will tolerate dry chalky soils. Full sun or light dappled shade.